Update: Title updated to reflect this is in-stream advertising platforms, more at the foot of the post. In a lengthy post, Twitter has just announced it will ban all third party ad platforms that inject advertising into users twitter streams. This technically means the end of Ad.ly and potentially the just launched (as in today at TechCrunch’s Disrupt) Tweetup. Why are we prohibiting these kinds of ads? First, third party ad networks are not necessarily looking to preserve the unique user experience Twitter has created. They may optimize for either market share or short-term revenue at the expense of the long-term health of the Twitter platform. For example, a third party ad network may seek to maximize ad impressions and click through rates even if it leads to a net decrease in Twitter use due to user dissatisfaction. Secondly, the basis for building a lasting advertising network that benefits users should be innovation, not near-term monetization. Twitter is uniquely dependent on and responsible for the long-term health and value of the platform. Accordingly, a necessary focus of Promoted Tweets is to explore ways to create value for our users. Third party ad networks may be optimized for near-term monetization at the expense of innovating or creating the best user experience. We believe it is our responsibility to encourage creative product development and to curb practices that compromise innovation. We understand that for a few of these companies, the new Terms of Service prohibit activities in which they’ve invested time and money. We will continue to move as quickly as we can to deliver the Annotations capability to the market so that developers everywhere can create innovative new business solutions on the growing Twitter platform. Remember twitter’s vision is to share ad revenues with its developer community. Clearly for companies like Ad.ly (who just sealed $5 million in funding) and Tweetup, they have their own ideas. Tweetup’s concept of an “adsense for twitter” is actually a rather impressive one (in comparison to many other twiter ad ideas we’ve seen that is). It’s something which could potentially benefit users, publishers and twiter alike and if they haven’t already, twitter should be taking notice. Whether it decides to implement it themselves or possibly acquire the company from idealab, we shall see. What is clear is that twitter is rapidly transforming the way people see its ‘platform’. While at one point twitter’s api was seen as something you could build anything on, since its acquisition of tweetie and now today’s announcement, its a very different place to be. 1. We don’t seek to control what users tweet. And users own their own tweets. 2. We believe there are opportunities to sell ads, build vertical applications, provide breakthrough analytics, and more. Companies are selling real-time display ads or other kinds of mobile ads around the timelines on many Twitter clients, and we derive no explicit value from those ads. That’s fine. We imagine there will be all sorts of other third-party monetization engines that crop up in the vicinity of the timeline. 3. We don’t believe we always need to participate in the myriad ways in which other companies monetize the network. Note that twitter says “Companies are selling real-time display ads or other kinds of mobile ads around the timelines on many Twitter clients, and we derive no explicit value from those ads. That’s fine.” It’s difficult to be sure whether this simply means sites that include advertising around twitter streams (e.g. The Next Web’s advertising with twitter widget’s in the sidebar) or twitter apps that might include advertising alongside but not within the stream itself (e.g. if tweetdeck may one day decide to add advertising around the twitter stream). This does mean however that Tweetup might have a fighting chance of staying around, which is good news because there’s definitely value there. Twitter has also updated its API Terms of Service to explain exactly what is and isn’t permitted to developers. respect user content — Tweets may be used in advertisements, not as advertisements. respect user experience — build your service around the timeline, not in the timeline. 1. Twitter Ads. Twitter reserves the right to serve advertising via its APIs (“Twitter Ads”). If you decide to serve Twitter Ads once we start delivering them, we will share a portion of advertising revenue with you per our then-current terms and conditions. (a) We encourage you to create advertising opportunities around Twitter content that are compliant with these Rules. In cases where Twitter content is the basis (in whole or in part) of the advertising sale, we require you to compensate us (recoupable against any fees payable to Twitter for data licensing). For example, you may sell sponsorships or branding around gadgets or iframes that include Tweets and other customized visualizations of Twitter. 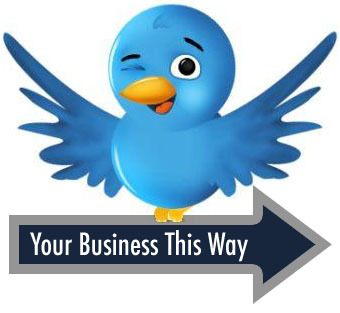 Please contact us for questions and information at twitter_ads@twitter.com, or to notify us of an advertising opportunity. (b) You may generally advertise around and on applications or sites that display Tweets, but you may not place any advertisements within the Twitter timeline on your Service other than Twitter Ads. (c) Your advertisements cannot resemble or reasonably be confused by users as a Tweet. (d) You may advertise in close proximity to the Twitter timeline (e.g., banner ads above or below timeline), but there must be a clear separation between Twitter content and your advertisements. – create an advertisement that implies the sponsorship or endorsement on behalf of the user.